The first bite was impressive. It brought back sweet cinnamon memories. I sensed the old-school warmth of cinnamon and sugar sprinkled on toast. 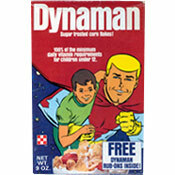 There was a childlike playfulness that comes from Cinnamon Toast Crunch or similar kids cereals. Letting the cereal rest on my tongue, I saw a flash of tiny red heart-shaped candies. The texture was pure Cheerios - familiar, tried and true. That was the first bite. About half way through my serving, everything that seemed enticing got dull. The flavor had gotten boring, the texture was seeming more mushy... instead of being reminded of Cinnamon Toast Crunch, I yearned for it. This is a decent enough cereal. It's basically what you'd expect it to be. Maybe that's why it got dull so fast... nothing new, nothing interesting. 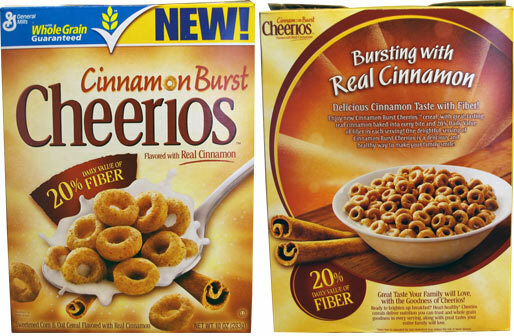 Honey Nut Cheerios remains the best Cheerios and Cinnamon Toast Crunch continues to rule the roost of cinnamon cereals. I give this cereal 3.5 golden eggs (absolutely average), which I'll round up to 4. Nutritional Considerations: Each 1 cup serving has 110 calories, 2 grams total fat (0 saturated and 0 trans), 27 grams total carbs, 5 grams dietary fiber, 9 grams sugars (only one less than Cinnamon Toast Crunch) and 2 grams protein. 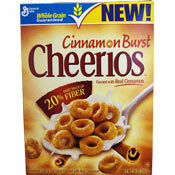 What do you think of Cinnamon Burst Cheerios? A previous poster said exactly what I thought when I first ate some - you really think you're eating tree bark. WAY too much cinnamon. I love these cheerios tbh, great flavor balance and not overloaded with sugar (which is a good thing for a breakfast food anyway). Simply put - too much cinnamon. It's not "cinnamon-sugar" like most cereals. It's just lots and lots of pure cinnamon. To the point that you're reminded that you really are eating ground tree bark. It's very earthy/woodsy.